The Coptic Orthodox Church in the United Kingdom celebrated the Feast of Nayrouz, marking the new Coptic Year in St Margaret’s Church, Westminster Abbey on 21 October 2014, with a sermon by His Grace Bishop Angaelos, General Bishop of the Coptic Orthodox Church in the United Kingdom, and messages from His Royal Highness The Prince of Wales, The Right Honourable David Cameron Prime Minister, and the Most Reverend Justin Welby, Archbishop of Canterbury. “We are reminded that in the midst of this immense darkness there is an incredible light, witness, example, power, and victory. What appears to be death and defeat is actually defiance and victory for, in the cases of many of these people, it is a greater victory to have died for their Faith than to have given it up to continue otherwise. While this may be the case, and they may be defiant and victorious, we must also continue to actively advocate for them. After the messages were read there was a greeting by Archbishop Antonio Mennini, Apostolic Nuncio to Great Britain followed by addresses from The Baroness Berridge of the Vale of Catmose, and The Lord Alton of Liverpool. 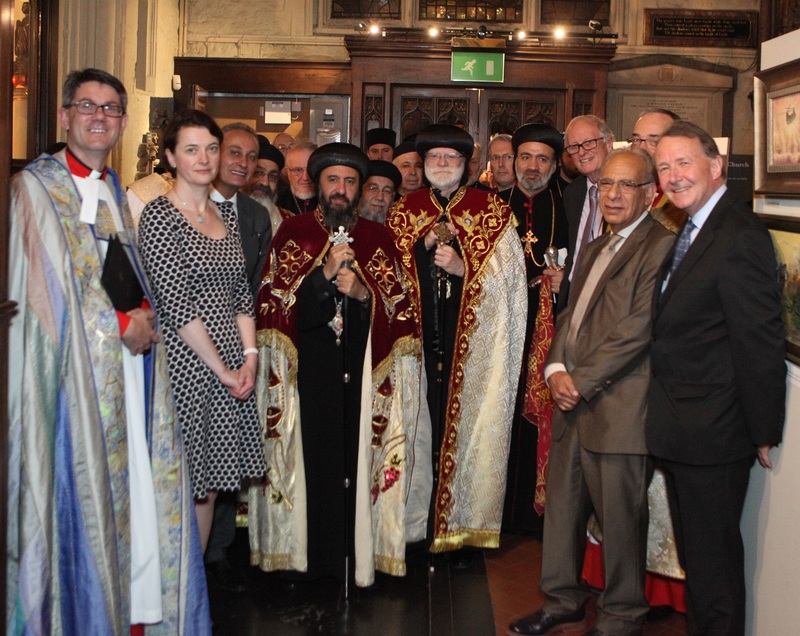 The service was attended by members of the House of Lords, House of Commons, members of the diplomatic core and various ecumenical and official guests, as well as members of the Coptic community in the United Kingdom. 0 Comment(s) to the "Press Release: Nayrouz Service in St Margaret's Church Westminster Abbey"